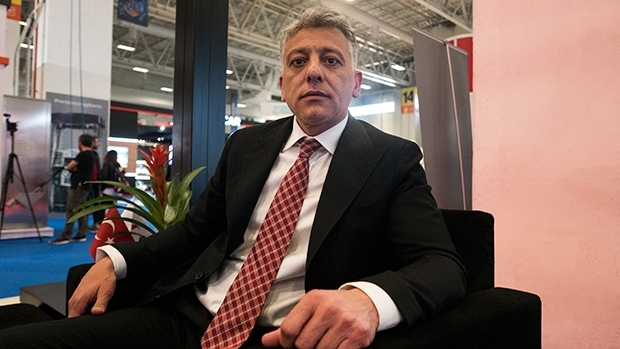 We spoke to Yiğit Meral, Retail Director of Petrol Ofisi, at Petroleum Istanbul about how the company maintains its number one position in the market, new trends in Turkey and piloting innovative technologies such as license-plate recognition. Yiğit Meral has been working in the petroleum sector for 20 years. Formerly at BP, he was one of the new faces that Vitol brought to manage Petrol Ofisi after the acquisition. He is now the Retail Director. Petrol Ofisi’s business consists of the largest retail station network with over 1,700 sites, 1 lubricant plant, 10 fuel and 4 LPG filling terminals, 20 aviation supply units and approximately 1.1 million m³ of storage capacity. Q. The biggest thing that has happened in the Turkish market in recent years was the Vitol acquisition of Petrol Ofisi in 2017. It has been a year and a half since the acquisition. How has life been under this new structure? 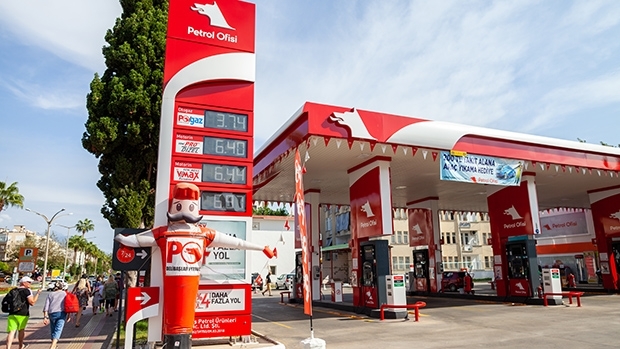 A. I joined Petrol Ofisi in the beginning of 2018, after the acquisition. Despite being a trader, three years ago Vitol decided to go into the retailing business as well. They also acquired Shell in Africa and Australia. They want to grow in the retailing segment. In Turkey, their aim is to invest in the country and grow. Petrol Ofisi is the market leader now. This is a dealer-based market - dealers operate around 90% of the sites. We are suppliers and partners of the dealers. Vitol will not change the brand. When they acquire a network the maintain the current image of the brand. That is good decision because Petrol Ofisi is a very strong brand in Turkey. It was a state-owned brand until 2001, when it was privatised, and then sold to OMV. Q. How does a company like Petrol Ofisi maintain its position of leadership in a highly competitive market like the Turkish? A. Actually, maintaining the number one position is harder than getting it. We now have a new team. After the acquisition, Vitol got new people with experience from the sector such as myself. In this market to maintain leadership it is important to have a good relationship with the dealers. To know where to grow, where to to maintain and where to divest, it depends on your network strategy. You need to have a good plan. Our aim right know is to have a good, robust network strategy. With our experienced team if we are able to execute that strategy, we will be able to maintain our strong position. Q. Competition at petrol stations was based on fuel prices and brand awareness. Now it's about convenience and loyalty. How are you adapting to this new system? A. When you look back ten years ago, in the Turkish market 99% of the income was coming from the fuel side. We foresee that non-fuel sales (car wash, shop, lubes) will increase to 10-15% in the next five years. Multinational companies companies are investing in this segment and they have the muscle from their experience in other countries. We currently have a marketing team focusing on the non-fuel side. For example, we have a partnership with Migros, one of the big retailers in Turkey. There are 105 Migros stores in our retailing network. We also have a partnership with a coffee chain and 16 locations right now. Another partner is Western Union - there are 41 points at Petrol Ofisi stations. Our strategy in the convenience segment is to grow with our partners. If you can take an experienced partner that knows the market, you can grow your business. Q. What are you doing in the loyalty department? A. At the moment the space is limited in this area due to regulations. There is a promotion ban in Turkey. If you want to do a loyalty program or a promotion, you can only redeem fuel. Points can only be used in this way - you cannot use them at Migros or another convenience store. However, we have partnerships with banks and with them we are doing a number of promotions. Always with fuel, though. We also have the 'Positive Card', a loyalty scheme. Q. In 2017, you installed the first electric vehicle chargers at Petrol Ofisi sites. How has that developed? A. Last month we built our sixth electric vehicle charging station. It is developing very slowly. In the short-run I don't expect a huge demand. Maybe in 10 years the demand will be significant. At the moment we are investing, we are looking, but it is not a priority. Once some hurdles are overcome, like charging time and availability of cars, there will be a stronger demand. Q. Does the huge presence of LPG in Turkey, which already offers a cheaper alternative to regular petrol and diesel, have an effect on the slow adaption of EVs? A. I think so. Turkey is the second biggest market for LPG in the world. Due to the subsidies, it is true that some customers are converting their cars to LPG. There is a huge demand for it at the minute. However, it depends of the arbitrage. Sometimes they can go for electric, and other times for LPG. At the minute there are subsidies for LPG so the market is strong. Q. What is the state of the car wash market right now, and what participation does it have in Petrol Ofisi's business? A. In the big cities you can have an income from automatic car washes. In the rural areas, generally dealers offer the service free of charge. Turkish people really love their cars so many times they want wash it themselves. It's like their hobby. Apart from automatic systems, there are manual services. It is important to invest in automatic machines. Q. One of the big topics of conversation in the industry is adaption of new technologies such as cloud-solutions and artificial intelligence. How is that changing how you do business? A. This is good for the customer. If the technology develops, you have to go with the flow. At the moment we are concentrating on plate-recognition systems. When you go to the pump, you have to enter the plate number in the system and then you can fuel up. Now we are testing for cameras to recognise the license plate so you can automatically fuel your car. It is a good offer for the customer. When you can recognise the plate, you can also see if this is a gasoline, diesel or LPG car. It protects customers from mixing fuels. We have one pilot station in Istanbul at the minute. If it is successful we are planning to expand this to all retail sites.